Ground Floor, Air Conditioned Bedroom, Complimentary High Speed Wifi. Royal Coconut Coast, Wailua, Kauai Vacation Rental. *One bedroom, 1 bath with King bed in bedroom & queen sofa sleeper. *Fully furnished rooms are smoke-free with complimentary wifi and parking. 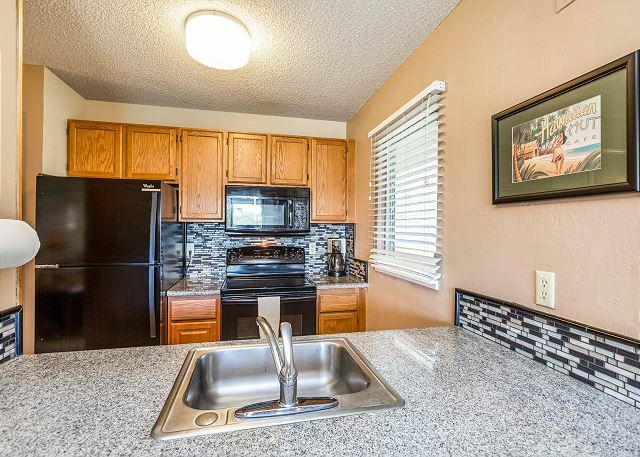 *Remodeled Fully equipped kitchen with new appliances. 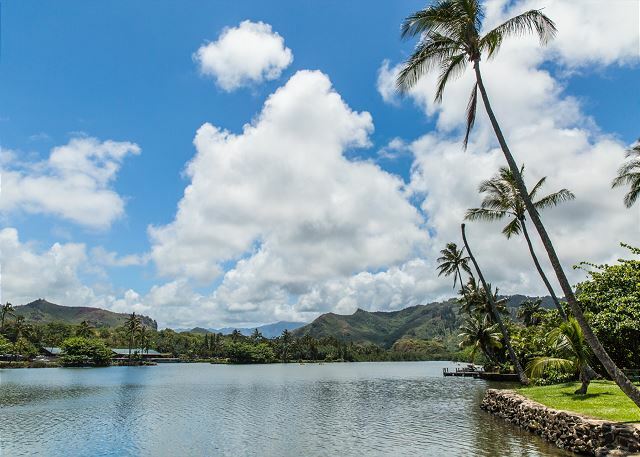 The perfect Kauai vacation rental for the budget minded traveler. All vacation rental units have spacious bedrooms, are non-smoking, air conditioned, fully furnished. 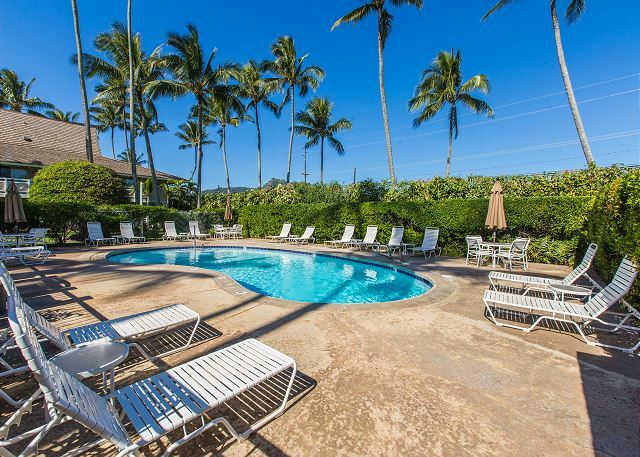 There are 3 outdoor swimming pools, whirlpool spas, central laundry facilities, barbecue areas, shuffle board, putting green and challenging Wailua Golf Course is only one mile away. 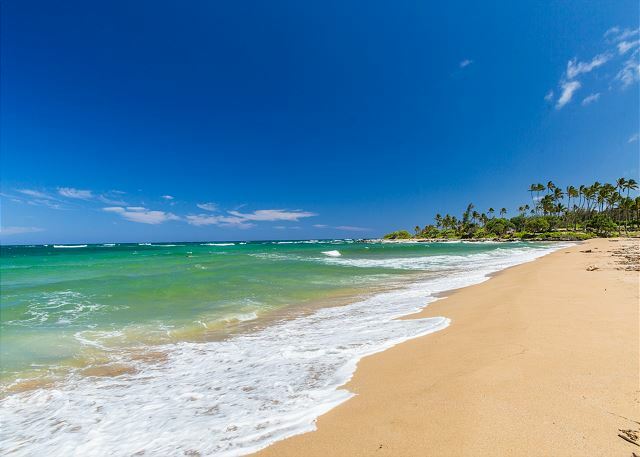 The Plantation Hale Suites is located on Kauai's scenic Royal Coconut Coast. 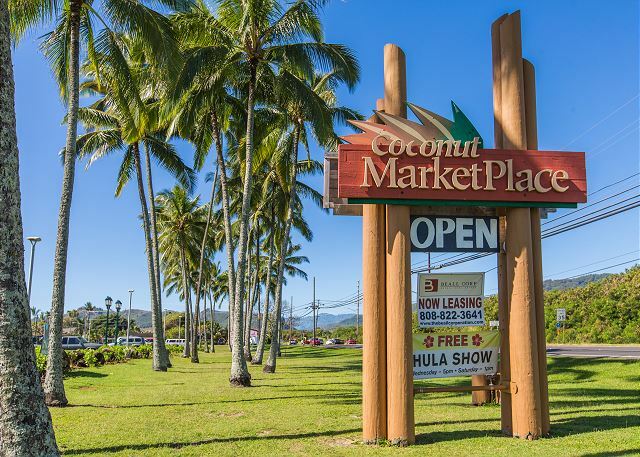 Just a short walk to the Coconut Plantation Marketplace featuring a variety of shops and family-style restaurants. 100 yards to Waipouli Beach. 15 minutes North of Lihue Airport. Just one mile to Lydgate Beach Park. Two miles to Wailua Municipal Golf Course and the Wailua River/Fern Grotto. One block from Kapaa town with its wide variety of boutiques and shops, art galleries, and cafes. Midway between Poipu and Hanalei Bay and Princeville. Plantation Hale Suites is Kauai's best value vacation rental. 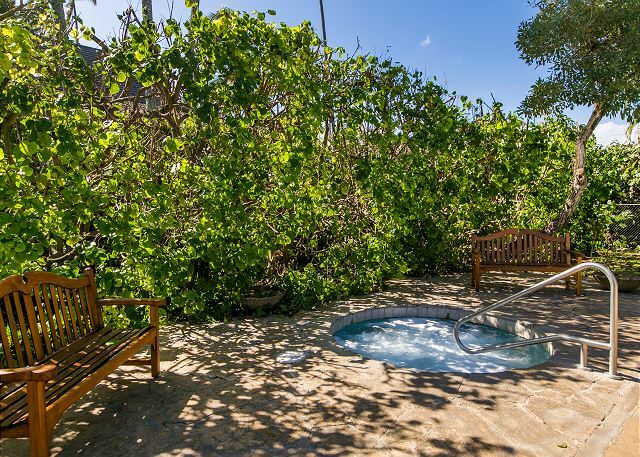 A Hawaiian Plantation style and affordably priced for the family wanting to experience an unforgettable Kauai vacation! 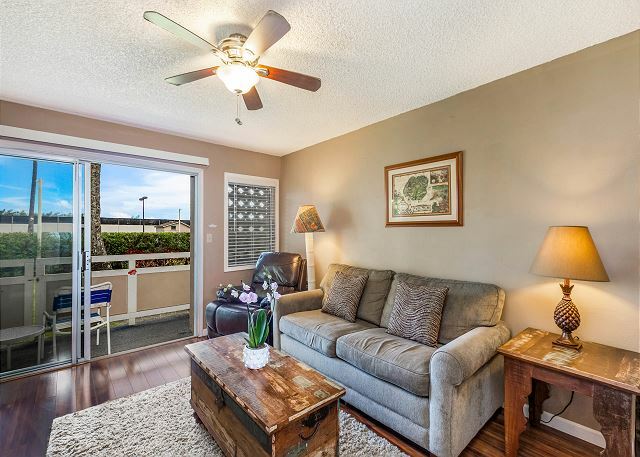 "Absolutely Wonderful Value", "Great Value-location" Trip Advisor members state about this Kauai vacation rental!Holiday Rates apply from 12/15 to 1/5 with a 7 night minimum stay. The unit we were in was the one displayed on the website,so there was no bait & switch. It was clean, comfortable & met our needs. Great location for us, in the middle of everything we wanted to do on the east side of the island. we would stay here again. The accomodations were exactly as it looked in the photos. Kitchen very well stocked with all cooking utensils so we were able to prepare meals and avoided eating out too much. Location is ideally situated between north and south part of island. Made access to beaches and sights very easy. I would like to stay here again for next time in Kauai. We have been to Kauai many times and this trip was great as usual. 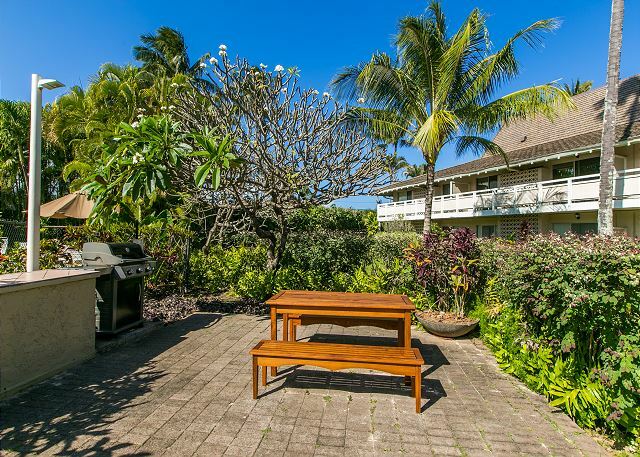 Our condo was clean and well-equipped and Kapaa is a good central location on the island. We may be back. We had a awesome stay here and it's centrally located on the island so easy to get around. The pools were lovely but the hot tub was not very warm. There was beach chairs and coolers for the beach and everything was clean. Lots of towels, blankets and pillows. We couldn’t have asked for a better condo. Location was perfect close to many shops and the beach! We felt comfortable our entire stay. This condo was beautiful. Updated countertops and bathroom. Large bedroom.Great location, could walk to shopping and grocery store. Close to tour companies. Only thing missing was the view. Spacious place with everything you need! We had a great time staying in K5. 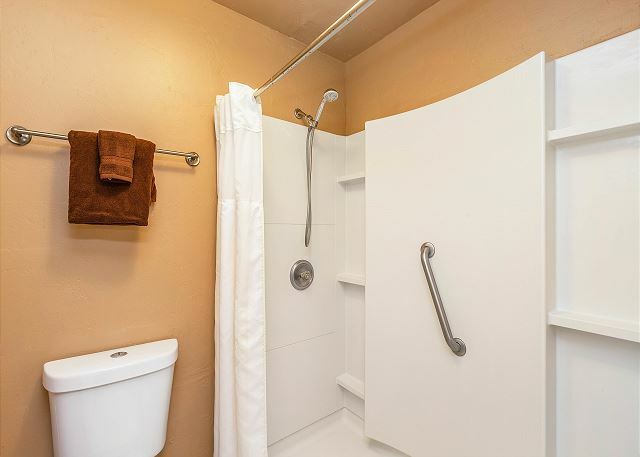 The unit is spacious, clean, and is equipped with everything you might need. It has AC, a full kitchen, and we could even use snorkeling gear. Shops and towns are close by, parking was convenient, and there is outdoor seating bring the sliding doors to the bedroom and living room. Figuring out all the light switches is an interesting puzzle! 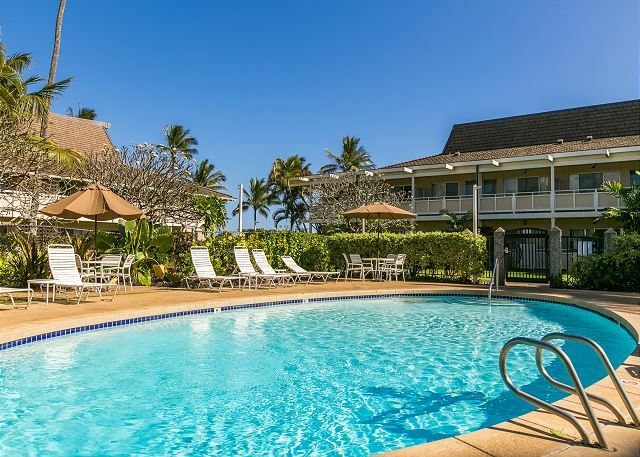 Plantation Hale Suites is Kauai's best value vacation rental. A Hawaiian Plantation style and affordably priced for the family wanting to experience an unforgettable Kauai vacation! 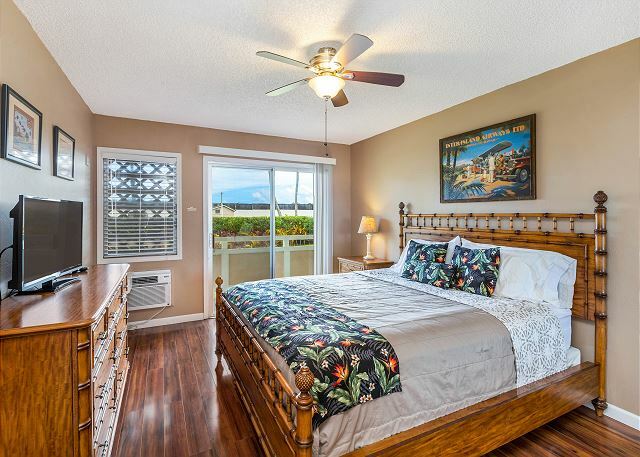 "Absolutely Wonderful Value", "Great Value-location" Trip Advisor members state about this Kauai vacation rental!Holiday Rates apply from 12/15 to 1/5 with a 7 night minimum stay. [ShortDescription] => 1 Bedroom, 1 Bath, Ground floor, Garden View, AC in BR, Full Kitchen, Complimentary Wifi & Parking. 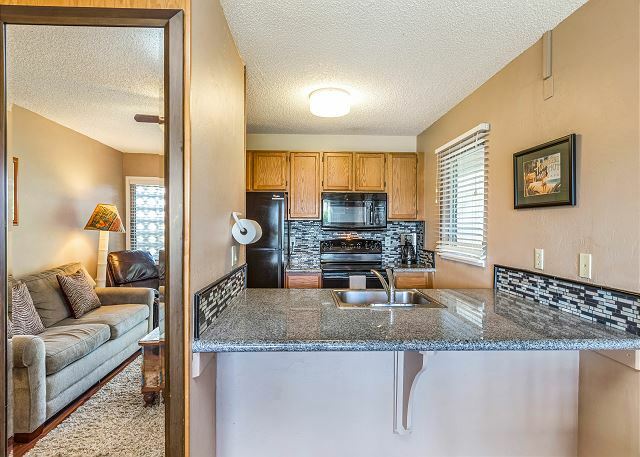 Remodeled kitchen, walk-in shower, King Bed and Sofa Sleeper. Sleeps 4. [review] => The unit we were in was the one displayed on the website,so there was no bait & switch. It was clean, comfortable & met our needs. Great location for us, in the middle of everything we wanted to do on the east side of the island. we would stay here again. [title] => Perfect home away from home! [review] => The accomodations were exactly as it looked in the photos. Kitchen very well stocked with all cooking utensils so we were able to prepare meals and avoided eating out too much. Location is ideally situated between north and south part of island. Made access to beaches and sights very easy. I would like to stay here again for next time in Kauai. [review] => We have been to Kauai many times and this trip was great as usual. 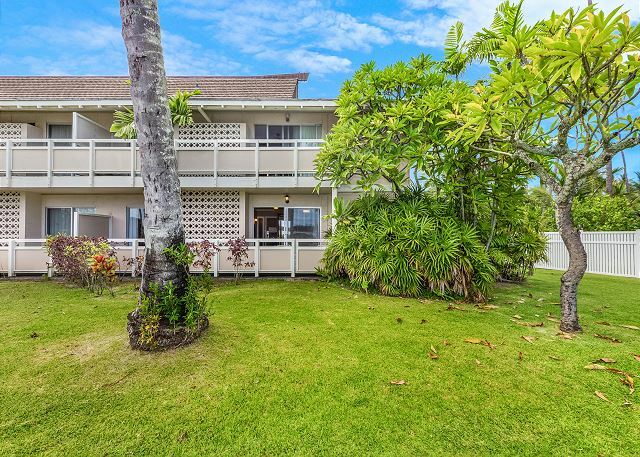 Our condo was clean and well-equipped and Kapaa is a good central location on the island. We may be back. [review] => We had a awesome stay here and it's centrally located on the island so easy to get around. The pools were lovely but the hot tub was not very warm. There was beach chairs and coolers for the beach and everything was clean. Lots of towels, blankets and pillows. [review] => We couldn’t have asked for a better condo. Location was perfect close to many shops and the beach! We felt comfortable our entire stay. 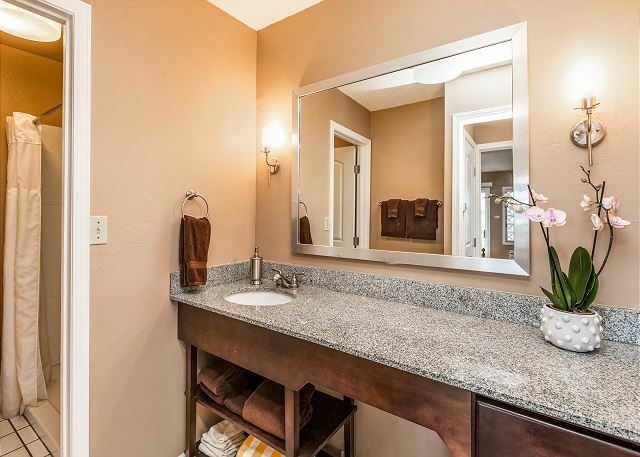 [review] => This condo was beautiful. Updated countertops and bathroom. Large bedroom.Great location, could walk to shopping and grocery store. Close to tour companies. Only thing missing was the view. 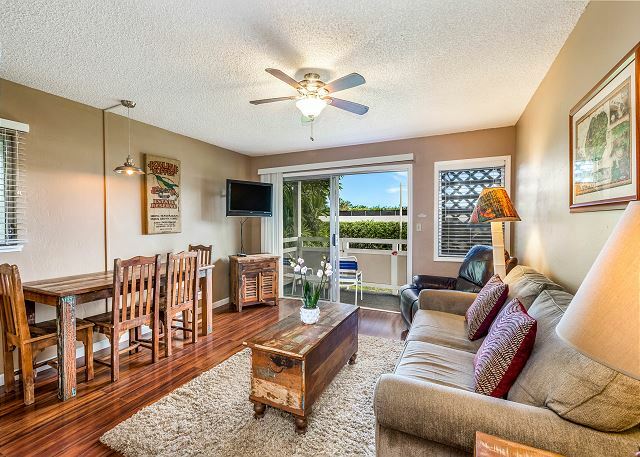 [title] => Spacious place with everything you need! [review] => We had a great time staying in K5. 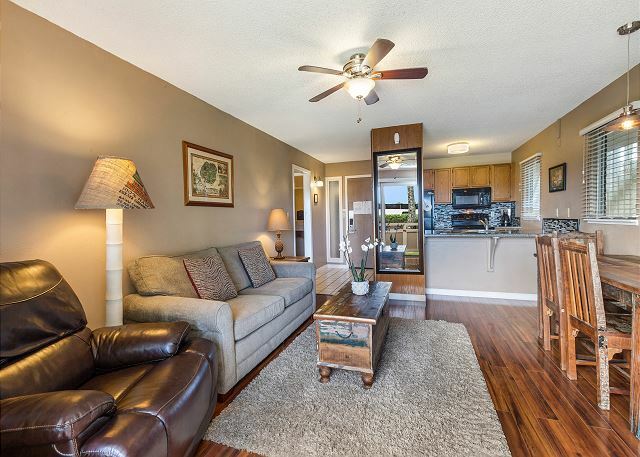 The unit is spacious, clean, and is equipped with everything you might need. It has AC, a full kitchen, and we could even use snorkeling gear. Shops and towns are close by, parking was convenient, and there is outdoor seating bring the sliding doors to the bedroom and living room. Figuring out all the light switches is an interesting puzzle! [response] => Thank you for your review and staying with us! This is a new unit for us under new ownership and management so we thank you for your feedback. We are glad to hear you enjoyed your stay and found the location to be great and the unit clean! We look forward to having you back!